to manage and refactor your legacy code to bring it up to modern standards. 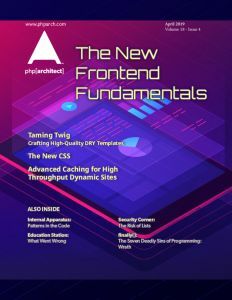 This issue includes articles on Bethat testing, implementing two-factor authentication, and exploring Internet-of-Things apps with PHP and a Raspberry Pi. Download your issue and read a FREE article today.